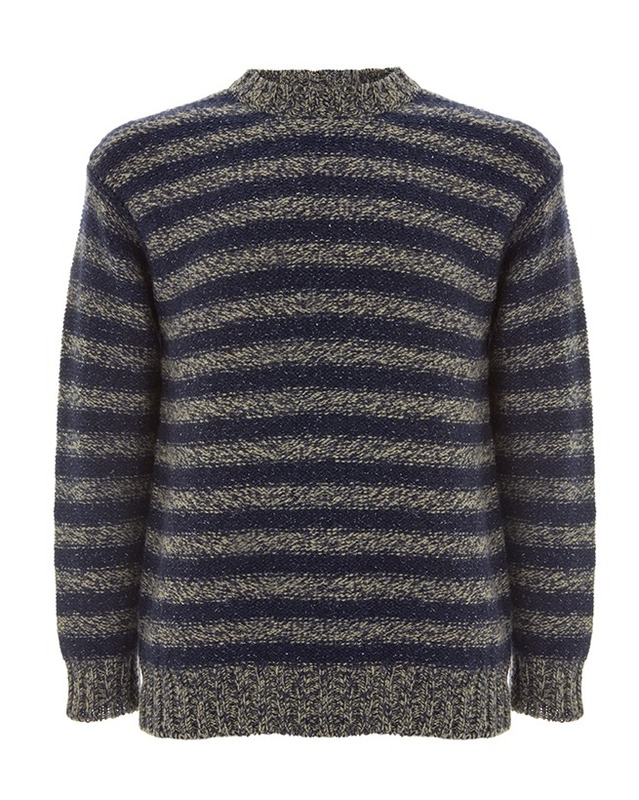 A chunky crew-neck sweater is an Autumn staple. 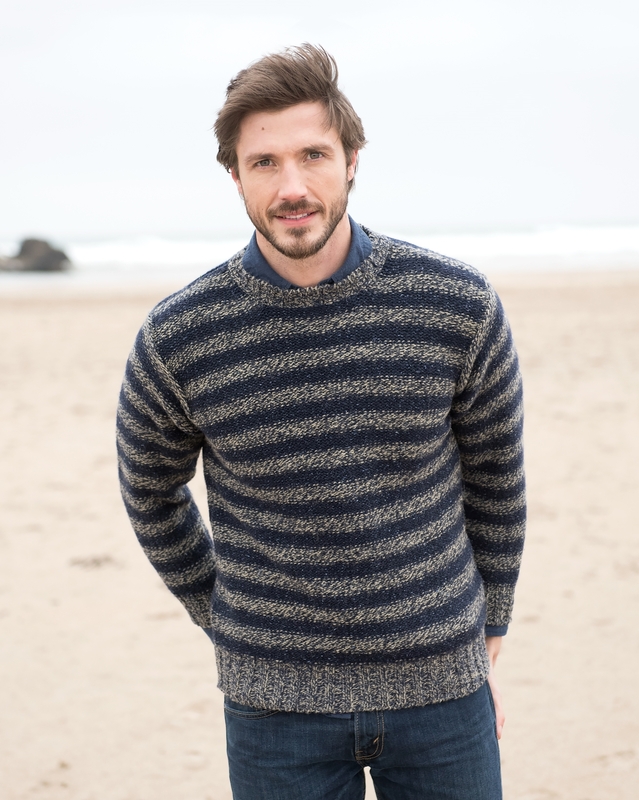 This one is made in Britain from a stunning wool and silk yarn and has a striped, marl pattern that looks great with jeans. Beautiful jumper, perfect fit but sadly it was just not really his style. Very sorry we had to return jumper to you. As this is my son's Christmas present he hasn't seen it yet so hasnt commented! But I think it looks lovely, very warm and cosy. So I give it a provisional 5 stars. So good, I have just ordered my second, in the other colour. It is warm and comfortable. This was a Christmas present for my husband and arrived just in time. He really liked the style and colour. It is a perfect fit. He has worn it every day since, so that speaks for itself. 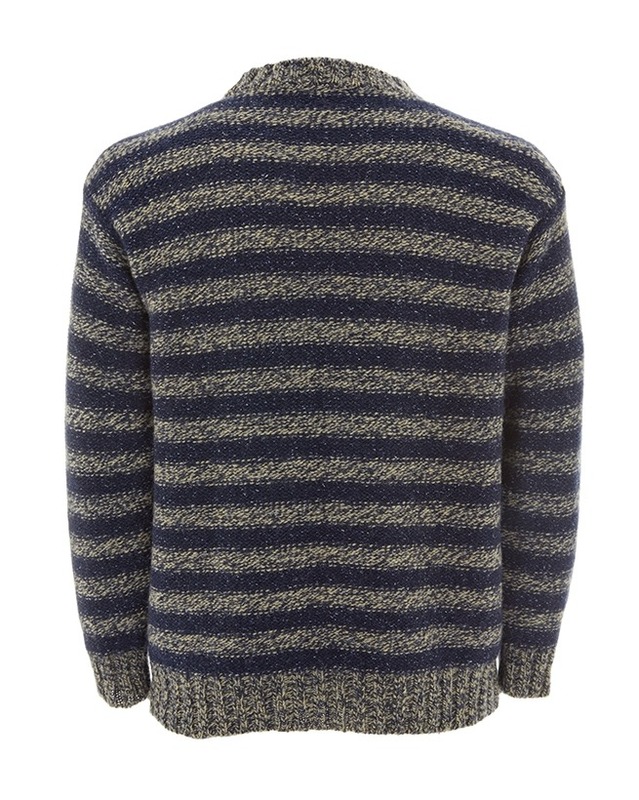 This is now added to his Celtic & Co jumper collection.